The DKN Olympic EZ curl bar with collars is designed with a 2" (5cm) sleeve diameter for Olympic weight plates and is an excellent piece of equipment to use for building up muscles and strength in your arms. 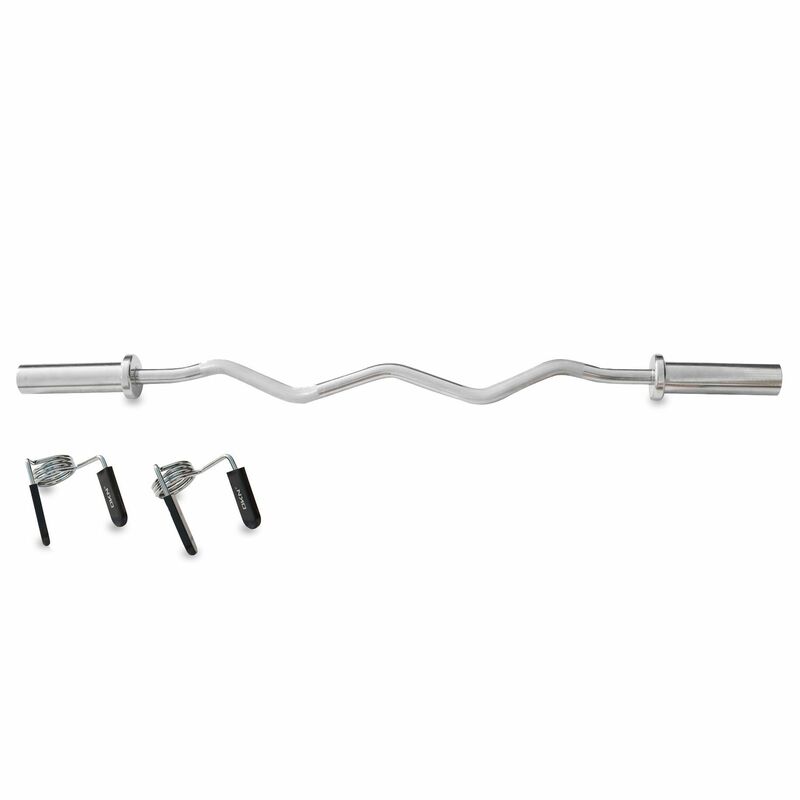 The weight lifting bar is made using solid steel and has a durable chrome finish. 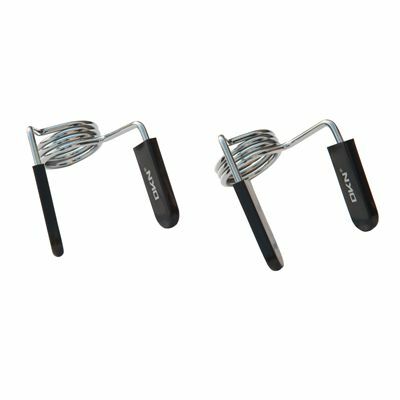 It weighs 8.3kg (18.3lbs), has knurled handles for a more secure grip and comes with spring collars to fix weights in place safely. for submitting product information about DKN Olympic EZ Curl Bar with Collars We aim to answer all questions within 2-3 days. for submitting product information about DKN Olympic EZ Curl Bar with Collars. We aim to answer all questions within 2-3 days. If you provided your name and email address, we will email you as soon as the answer is published. for submitting product review about DKN Olympic EZ Curl Bar with Collars.